The Earth is singing and nobody knows why. It is a sound that calls to the old ones; the long dormant or hidden deities, beings with powers spoken of only in myths and stories. What does it mean? And why are they all coming to Angel's Keep for an answer? Demon Queen Sapphira and her wife Queen Giulia are getting ready for a huge change in their lives, something that neither of them yet feel ready for, and the last thing on our fallen angel's mind is to take to the battlefield to fight an ancient goddess. 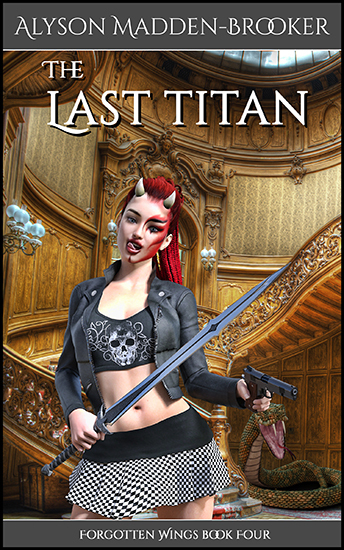 With modern Rome in the background, the last remaining Titan will battle an Olympian and it will take someone with the bravest heart of all to put everything right: Angels don't have doubts – so stop crying and pick up your sword.